In a pot mix water with salt and bring to boil. Add pasta and cook for 5 to 10 minutes or until tender as cooking time will be very for different type of pasta. 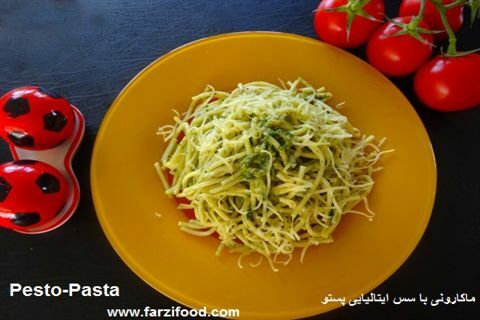 Drain pasta and mix with pesto sauce. Serve pasta hot with cheese on top. You can chose your favourite cheese for this food.